Green tea has been enjoyed as a delicious beverage for thousands of years, but these days it's not always possible to spare the time to make a cup of tea. Instead of waiting until you find a teapot, you can carry that soothing, familiar flavor with you anywhere and enjoy it in the form of tasty Green Tea Mints. 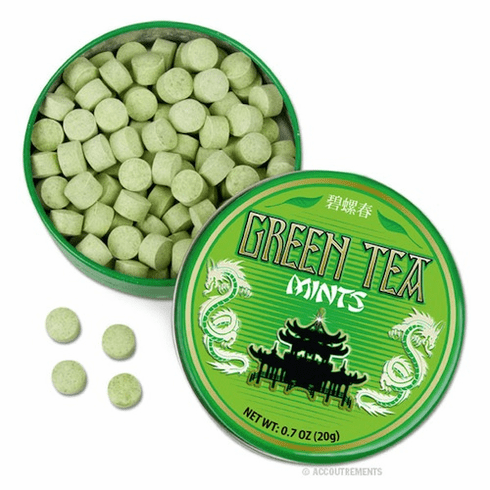 Each handsome tin contains about one hundred mints full of "natural green tea flavoring."